Some 100 days have passed since I was sworn in as mayor alongside the new City Commission. We’ve been working hard to keep the promises made about smart growth, infrastructure, traffic, homelessness and other matters. We can celebrate many successes. We stopped the Wave streetcar. We’re ending gun sales in Holiday Park. Traffic light synchronization has been prioritized. 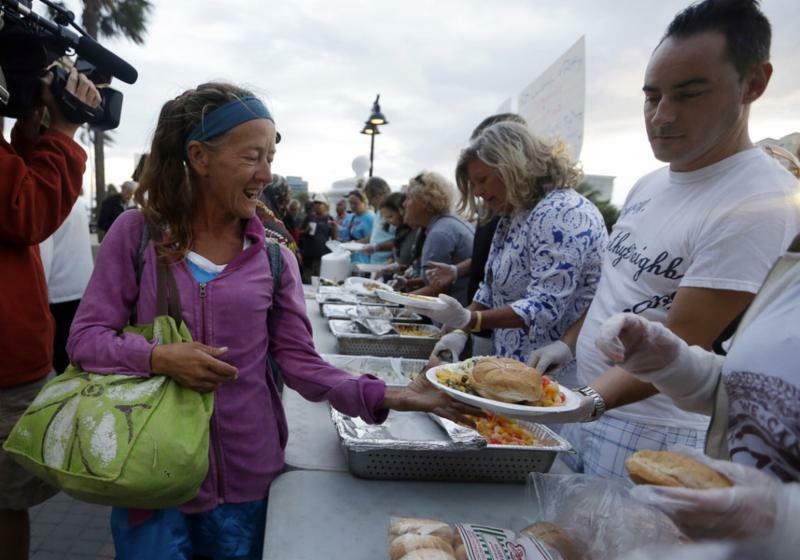 A major initiative to curb homelessness is underway. Water and sewer improvements are moving ahead. We’ve committed to stop raiding utility funds to balance the budget. And, we’ve sent a message to developers that projects will not sail through without scrutiny. The journey since our swearing-in on March 20 has not been without its bumps. But let’s take a moment to reflect on the progress made. The city succeeded in terminating the controversial Wave streetcar project. In the end, even the state and county agreed that the price simply became too exorbitant. The cost: $144.7 million for 2.8 miles of rail. There was widespread agreement that we needed a better solution to downtown traffic. One initial idea has arisen – creating a one-way traffic loop around the downtown that would have a dedicated lane for a rapid transit bus line as well as room for bike paths and wider sidewalks. The loop would run on Andrews Avenue and Third Avenue between Flagler Drive to the north and Southeast 17 th Street on the south, the same area that the Wave would have served. 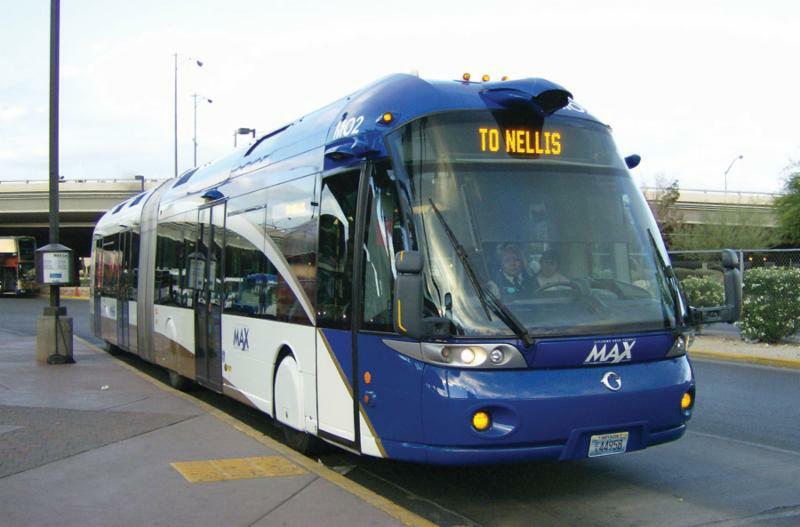 The buses could have a rail-type look with entries that are level with the sidewalk. They could be equipped with traffic signal priority software, so stopping at red lights could be kept to a minimum. It’s an intriguing option that is less expensive and more flexible than the Wave, but more research and public input is needed before we set a new course. Meanwhile, at its goal-setting workshop, the commission made traffic light synchronization a top priority for staff to pursue. With synchronization, lights will be timed better to prevent stop-and-go traffic on main corridors. We want staff to draw up plans to upgrade those streets within the next couple years. We want to create LauderTrail, a 7-mile network of connected bike paths reaching across the city. Transportation planners are hiring consultants to explore how to improve the congested Gateway intersection at Sunrise Boulevard and Federal Highway. The county and city continue to investigate the possibility of a new bypass road to reduce traffic on Southeast 17 th Street. I’ve also been pitching the idea of a train tunnel under the New River. This would allow the proposed Tri-Rail Coastal commuter rail link to move forward, whereas it currently would not be able to pass through Fort Lauderdale. The outdated rail bridge across the New River cannot handle the additional train traffic without a serious impact on the marine industry. A tunnel would also ease congestion between Sunrise and Davie boulevards. A major milestone in how we view neighborhood streets was celebrated with the completion of the Dixie Highway renovation project. No longer a highway, Dixie is now a neighborhood street with better sidewalks, improved landscaping in the swales, speed tables and roundabouts to slow traffic, and bike lanes. Members of the City Commission and I campaigned on the promise to stop raiding our water and sewer utilities for general operating expenses of the city. Prior commissions withdrew as much as $20 million a year from the utilities as a “return on investment.” That’s money that should have gone to address the serious problem of our aging infrastructure. This commission has agreed to move away from the “return on investment” strategy over a four-year period. We are headed in the right direction, and that’s a good thing. Still, I personally would have liked ROI to end sooner. And, I want to see if we can find spending cuts rather than raise taxes to cover the resulting budget gap. 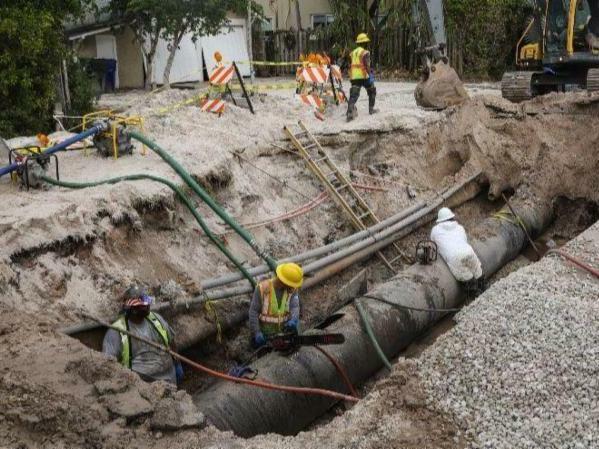 We are making progress on upgrading the water and sewer infrastructure as the state required in a consent order issued after the city experienced repeated pipe breaks last year. Remember the sewage flowing through streets and yards? A new 30-inch main has been installed downtown, a new lift station is operational in Harbor Beach and a project to prevent stormwater from entering the sewer system has been completed in the North Beach area. More work is on the way. The city has started a stormwater rate study needed to pursue a $200 million plan to address the seven neighborhoods experiencing the worst flooding -- Progresso Village, Victoria Park, Dorsey Riverbend, Southeast Isles, River Oaks, Edgewood and Durrs. We will make a decision on funding in the next six months with the intention of completing construction in five years. Then, we will move on to other neighborhoods. Still, there is a lot more to do regarding infrastructure. The major analysis of our water and sewer system last year called the Reiss Report stated there is a significant risk of calamitous failure of the Fiveash Water Treatment Plant, and there is growing concern in the public about the coloration of our water. I’m pleased to say that a major initiative is underway to address homelessness in the city. We have seen the business community, county, city and non-profit social service providers come together in this effort like never before. We are committed not to repeat the mistakes of the past. Working with the chief judge of our judicial circuit, we expect to create a special Community Court this fall where individuals are not jailed for offenses like panhandling and camping in public places but are given permanent supportive housing and directed to the services that they need. With the United Way and the Greater Fort Lauderdale Alliance leading the push, we also are looking to expand a rapid rehousing program so many more people can move off the street. The county is stepping to the plate with new regulations on public encampments. Our hope is to be able to close the homeless camp next to the main library and then end homelessness in our city. 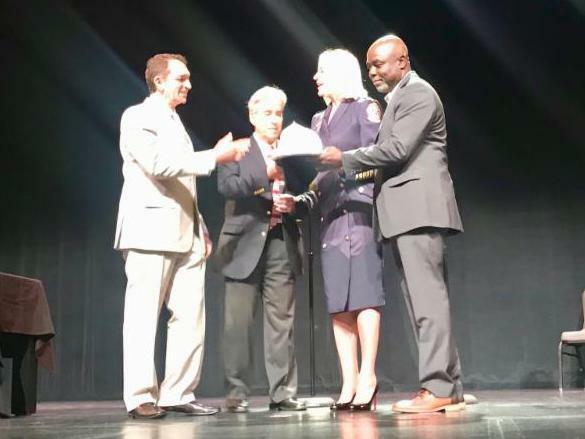 Fort Lauderdale has built a reputation as a great place to live, work and visit, and the new commission has taken steps to continue to improve quality of life. We adopted regulations on sober homes, residences where people stay while recovering from substance abuse. Using new federal guidelines about fair housing requirements for people with disabilities, we now require sober homes be licensed, meet certain minimum standards and not be clustered together. Residents complained for years that these places overwhelmed their neighborhoods and negatively affected their quality of life. The new commission is ending gun sales at War Memorial Auditorium. We never should have allowed firearms to be sold in a park near children’s playgrounds and ball fields, but the issue became ever more important following the tragic loss of life at Marjory Stoneman Douglas High School in Parkland. Our hope is to repurpose War Memorial, with one main idea being to open ice-skating rinks where the Florida Panthers pro-hockey team could also practice. To boost recreation further, we also want to expand offerings for other sports such as lacrosse and soccer. The aquatic center on the barrier island is at long last getting a makeover. 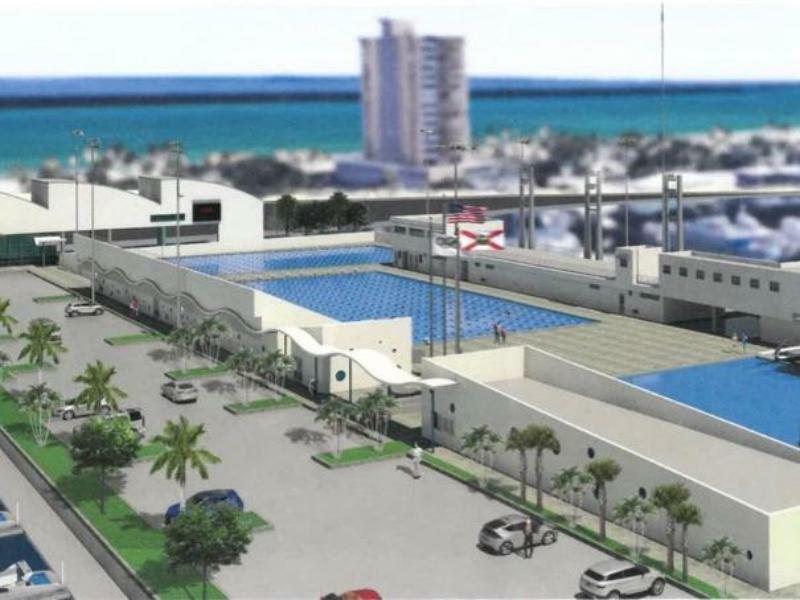 The commission agreed to negotiate a $27 million rehabilitation contract that would upgrade the pools to international swimming and diving standards by July 2020. I fought against the last pool proposal that was rebuked by the county inspector general’s office. After its demise, the city went back to the drawing boards and crafted these dynamic, new plans. We’ve launched a night-time economy division of code enforcement agents, police officers, fire officials and maintenance staff. This team monitors special events, addresses noise complaints and deals with other matters such as abuse of short-term vacation rentals. 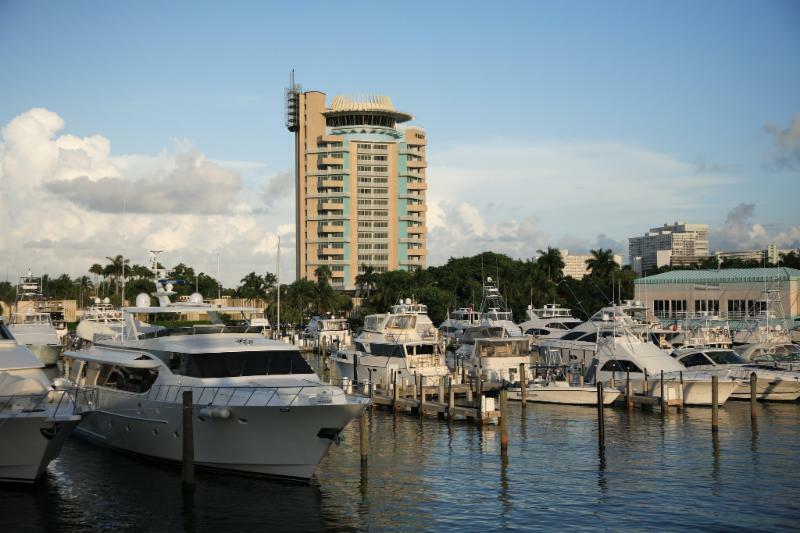 A vibrant and robust nightlife is part of what makes Fort Lauderdale special, but we must ensure residents have the quiet enjoyment of their homes. The new commission also made affordable housing a major goal. The rapid increase in housing prices and rents threatens to ensure people with moderate incomes cannot afford to live in Fort Lauderdale. We are now exploring ways to raise funds to incentivize affordable housing construction and whether to require developers to include a section of affordable housing in their construction projects. During the winter’s campaigns, voters made their voices hear loud and clear that they preferred smart growth strategies. I personally emphasized the need to ensure new development is compatible with the surrounding community and that projects take into account the burden placed on the city’s utility infrastructure and streets. We are seeing the new commission move in that direction. Take the debate about the Alexan project proposed on the edge of downtown and the Rio Vista neighborhood. Residents were rightly concerned about its proposed height, density and impact on small surrounding streets. We called it up for a formal review, an action rarely taken by prior commissions. The developers at their public hearing agreed not only to scale down the building from 21 stories to 14, but to reduce the number of units from 180 to 120. The revised project is set to come back to us for a final look in August. By the same token, the owners of the Pier 66 and nearby Sails properties at the Intracoastal Waterway and 17 th Street reduced the scope of an agreement with the city. They wanted to drop previously approved plans that few liked, but they asked the city to commit to certain basic terms for what a new project could encompass. From the beginning, th ey agreed to designate the iconic Pier 66 hotel as historic. Then in the course of working with the city and neighborhood groups, they reduced the maximum number of housing units they could seek from 800 to 575, shortened the length of the agreement from 20 years to 15, and deleted language about commercial construction. These were significant concessions from a developer that has a stellar reputation. But I still believed the maximum number of units was still too dense for such a congested area. And, I wanted the community to have more time to scrutinize the proposal. Although the agreement is now in place, the developer must return with an actual site plan. I made it clear that there will be robust public input, and we can continue to address concerns about density then. There is an important message from t he Alexan and Pier 66 debates. It is a new day at City Hall in how we look at development. While there will be disagreements, we are scrutinizing projects more and fighting harder to ensure the voices of our residents are respected. The past 100 days have flown by, and there is much more to accomplish. We are just getting started on charting the future of our city and how to take it to the next level. I wish everyone a safe and happy summer and look forward to continuing to fight for you as your mayor. 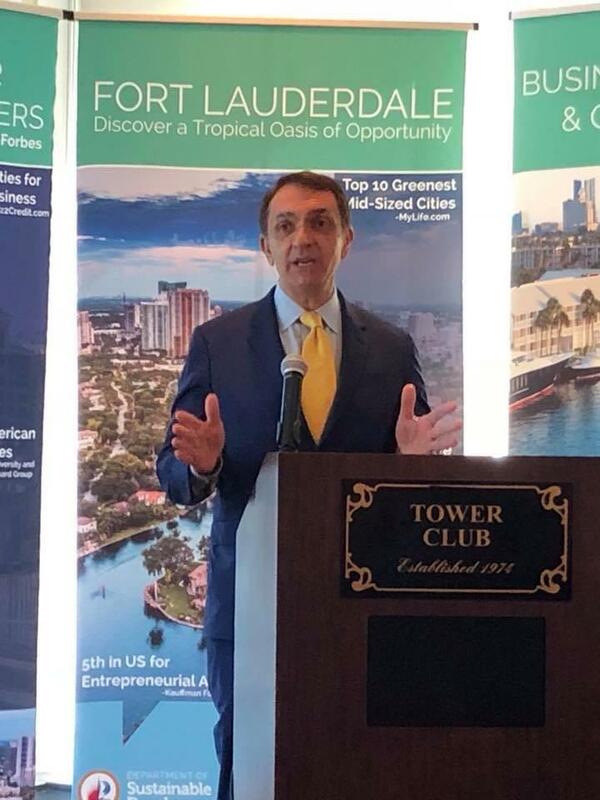 Mayor Trantalis speaks to local real estate agents about the growth of Fort Lauderdale at a Building Broward breakfast. 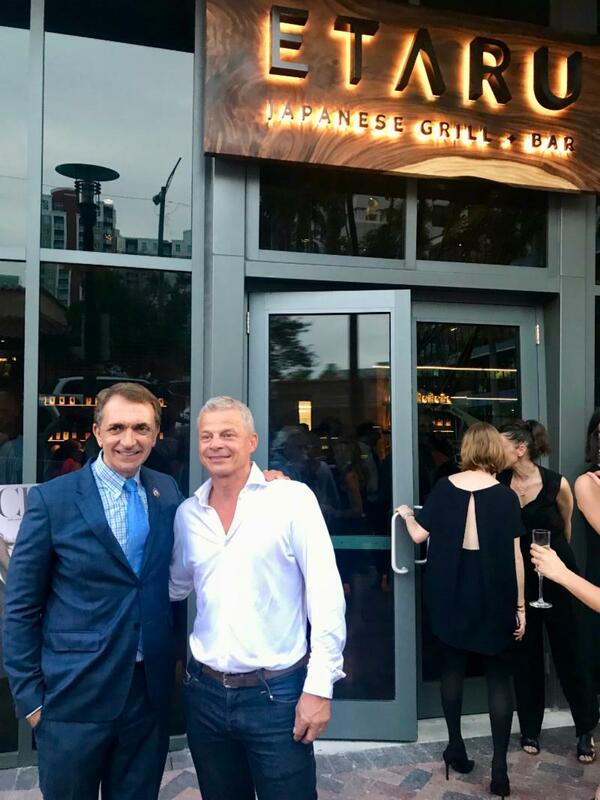 Mayor Trantalis helps open the new Etaru restaurant in the Icon building on Las Olas Boulevard. Mayor Trantalis joins commissioners Robert McKinzie and Steve Glassman in presenting a helmet to the city's new fire chief, Rhoda Mae Kerr. 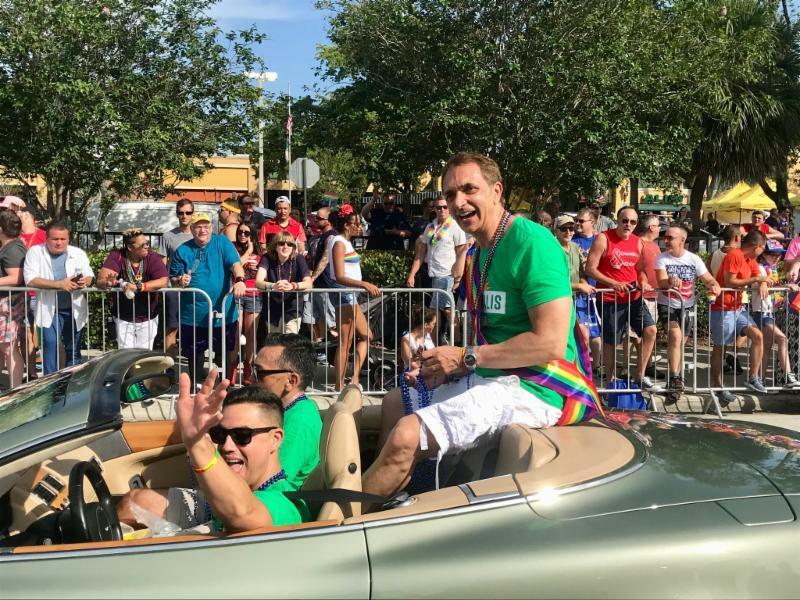 Mayor Trantalis participates in the annual Stonewall Pride Parade and Festival in neighboring Wilton Manors. 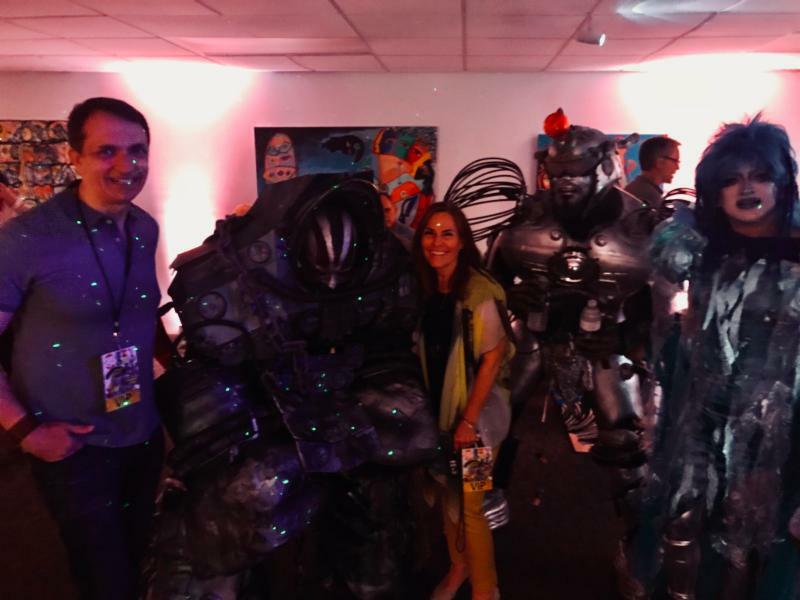 Mayor Trantalis joins Art Serve CEO Jaye Abbate at the center's annual Red Eye festival, which brings multi-media artists of all genres under one roof. Mayor Trantalis joins Lt. Gov. 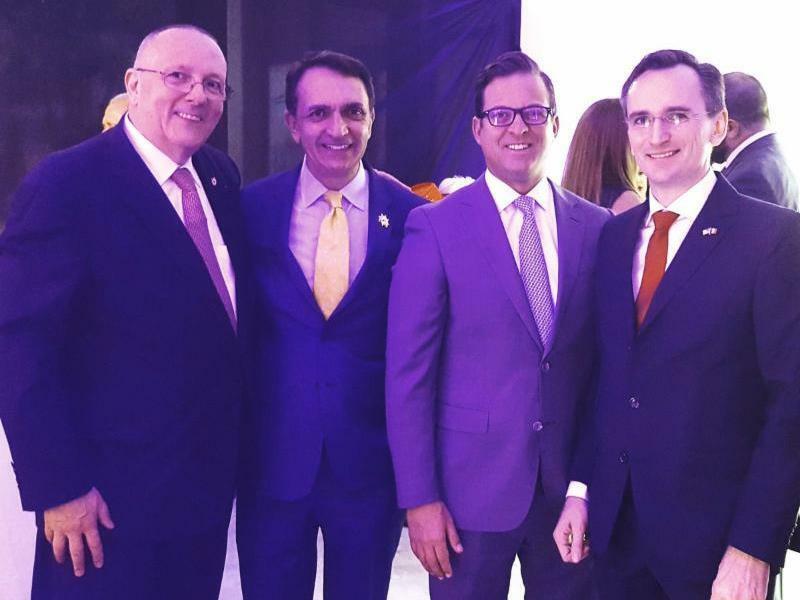 Carlos Lopez-Cantera and representatives of the French consulate to celebrate Bastille Day. 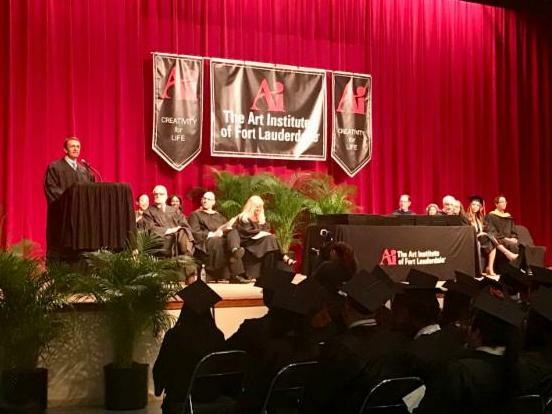 Mayor Trantalis gives remarks to the graduating class of the Art Institute of Fort Lauderdale at a ceremony at War Memorial Auditorium. Mayor Trantalis speaks at a Broward Pride report and discussion hosted by the Community Foundation of Broward County.